Oh Good, Logan Paul Is Making a DocumentaryHe says it’ll focus on what happened to him in January, a.k.a. that time he vlogged a dead body he found hanging from a tree. Logan Paul Says He’s Done Vlogging DailyHe’d also really like you to buy a sweatshirt, thank you! YouTube Has Turned Into a Merch-Plugging FactoryAs it gets harder and harder to make money from YouTube ads, vloggers are turning to merch to pay the bills. 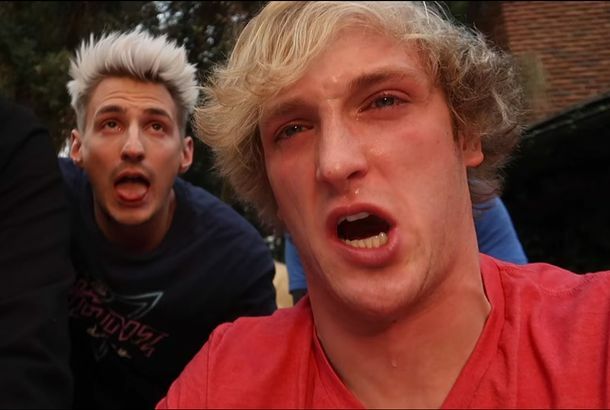 Logan Paul Caught Goofing Around in Wooded Area Once AgainHe’s back at it. YouTube Reportedly Resumes Running Ads on Logan Paul’s ChannelEarlier this month YouTube suspended Paul’s ability to run advertisements due to a pattern of “unsuitable” behavior. Jake Paul to (Temporarily) Stop Vlogging Every Day, BroHe’s reportedly in Florida to help survivors of the Stoneman Douglas shooting. YouTube Suspends Logan Paul’s Ability to Run Ads After He Tased a Dead RatPaul had some fun with animal corpses. Logan Paul’s Real Return to YouTube Is Exactly What You’d Expect But WorseHe brags about gaining a million followers in the three weeks he took off to reflect after posting a video of an apparent suicide victim. Logan Paul Roasted for Comparing Himself to Christ on Cardi B’s InstagramThe YouTuber clearly has not learned the value of saying nothing. Logan Paul Shows He’s Ready to Return to Vlogging in All the Worst WaysFor Logan Paul, the most fascinating, compelling part of the controversy around his suicide video remains what has happened to Logan Paul. Logan Paul Returns to Vlogging With Suicide-Prevention PSAThe YouTuber took three weeks off after posting a video of an apparent suicide victim hanging from a tree. Logan Paul Says ‘Everyone Deserves Second Chances, Bro’He also says he’s learned “everything” since posting a video of an apparent suicide victim in Japan. YouTube Finally Says Something About Logan Paul Vlogging Apparent Suicide VictimThe company’s open letter still didn’t say much about what will happen to Paul, who has taken a break from YouTube since the incident. Logan Paul’s Whole Trip to Japan Was Real ProblematicAll of Logan Paul’s “Adventures in Tokyo” vlogs were borderline offensive — just not nearly as bad as his now-infamous “suicide forest” video. Why 2018 Will Be the Year of the YouTube Moral PanicBetween Logan Paul, Nazis, and creepy kids’ videos, it’s YouTube’s turn. YouTube Has Very Little to Say After Logan Paul Posts Video of Dead BodyThe company’s official statement leaves a lot to be desired. 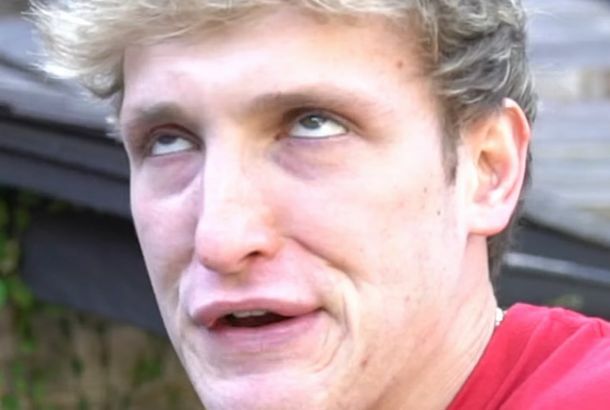 If You Didn’t Expect This From Logan Paul, You Haven’t Been Paying AttentionPaul recently posted and deleted a video showing an apparent suicide victim hanging from a tree in Japan. Logan Paul and Peyton List Talk The ThinningYou might not recognize them in their latest project.